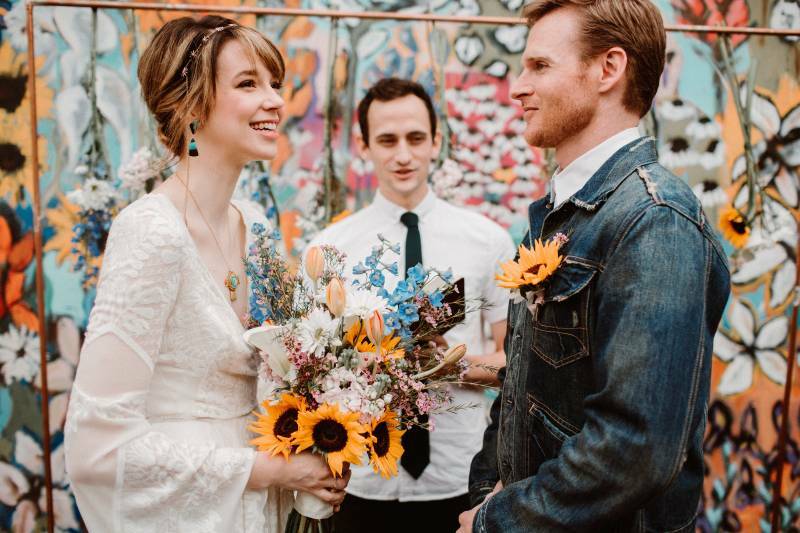 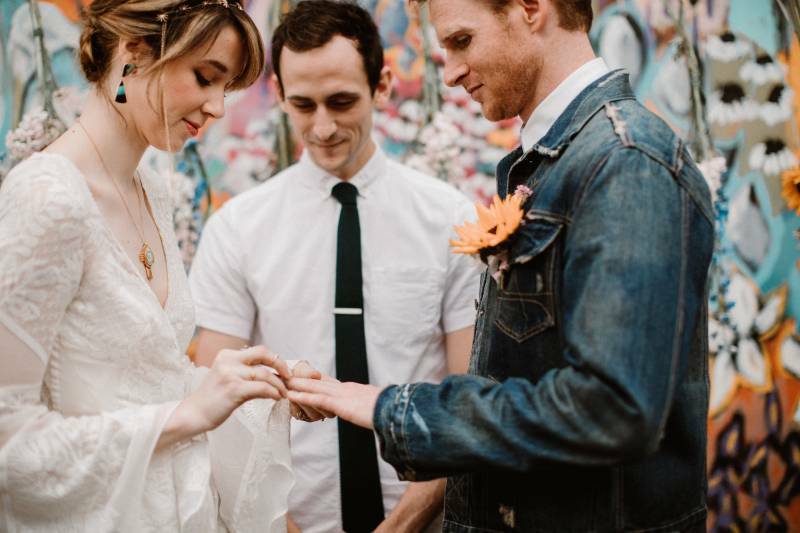 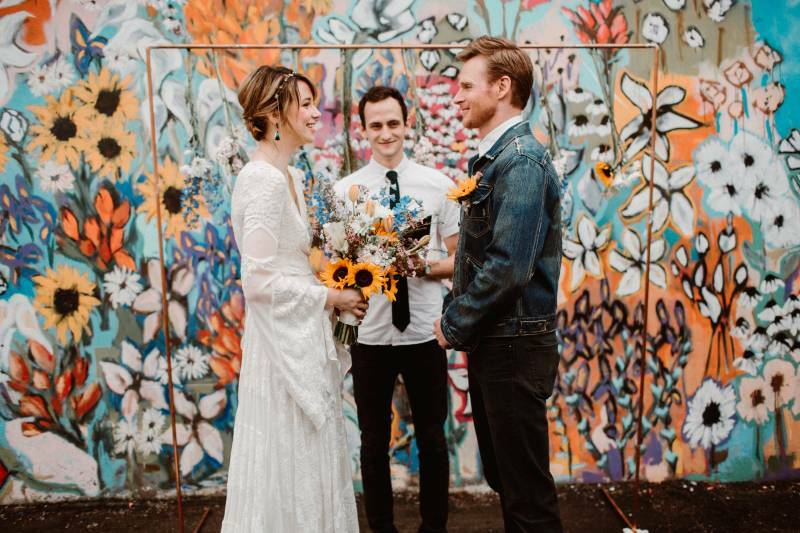 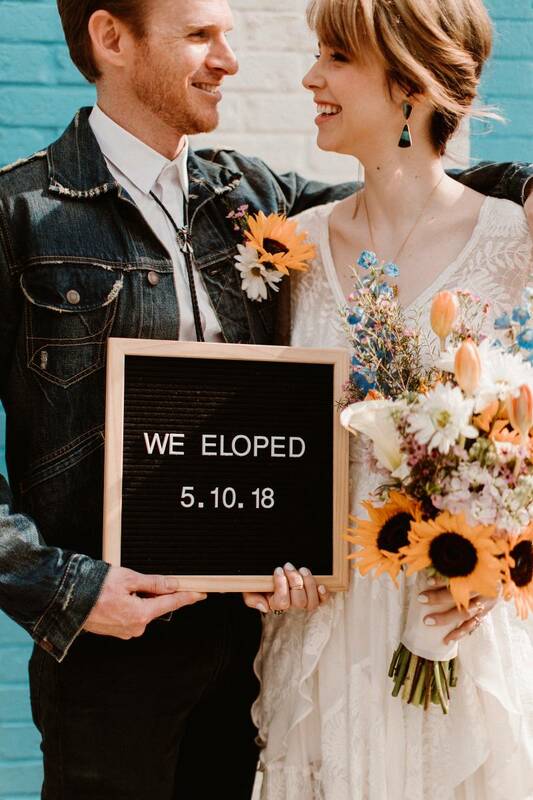 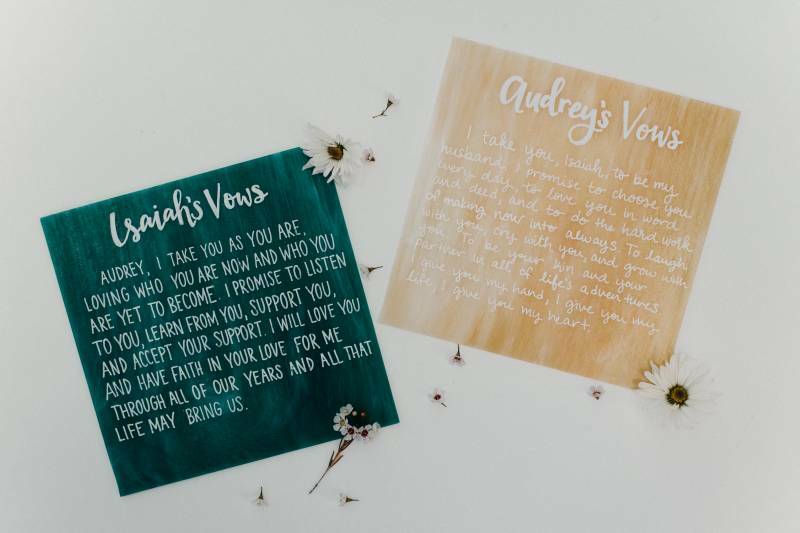 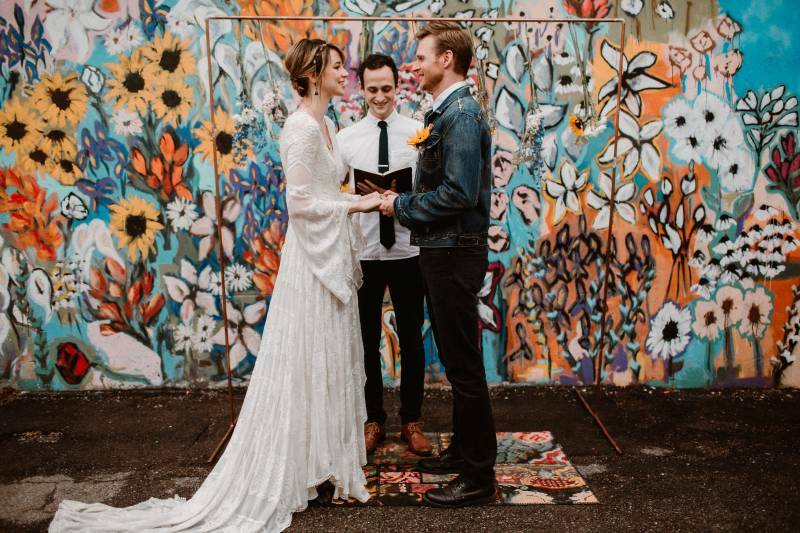 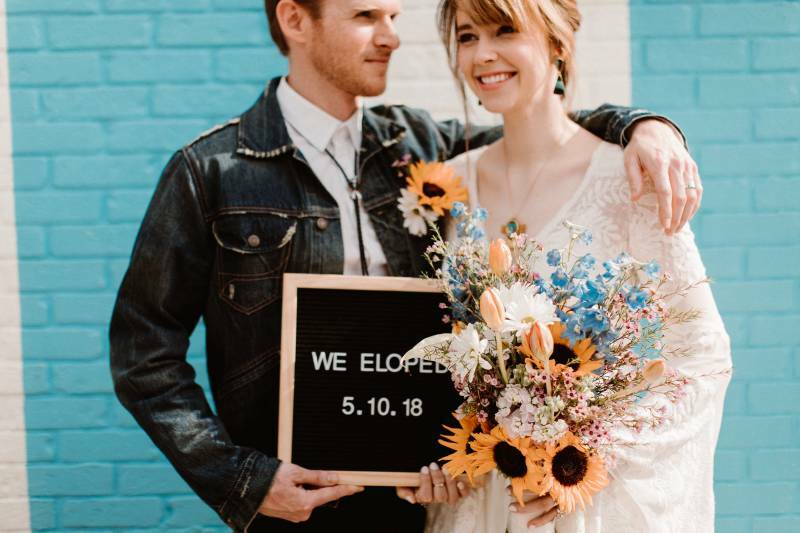 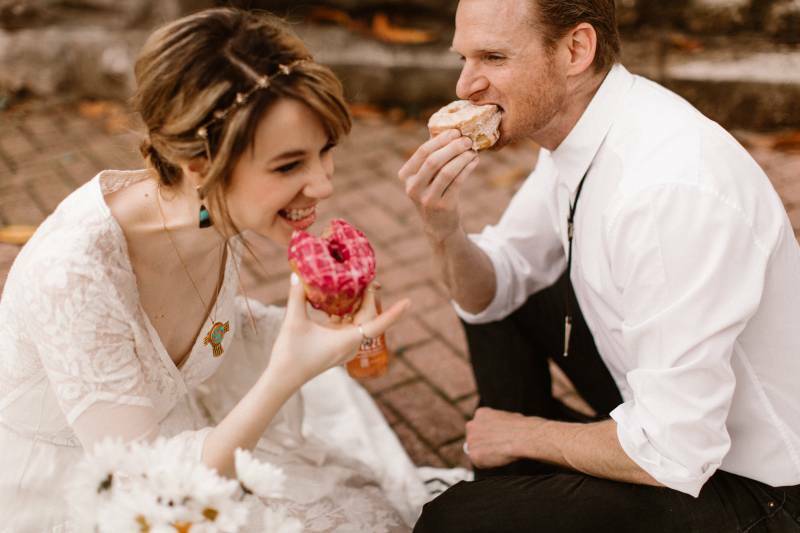 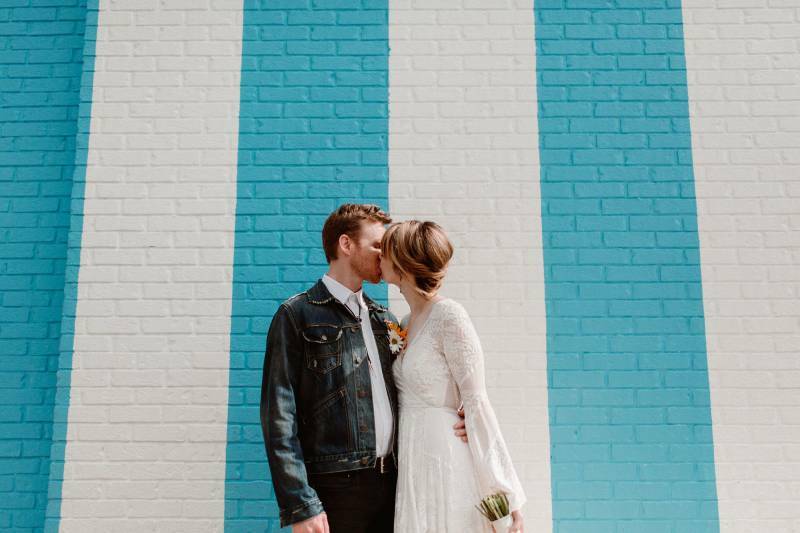 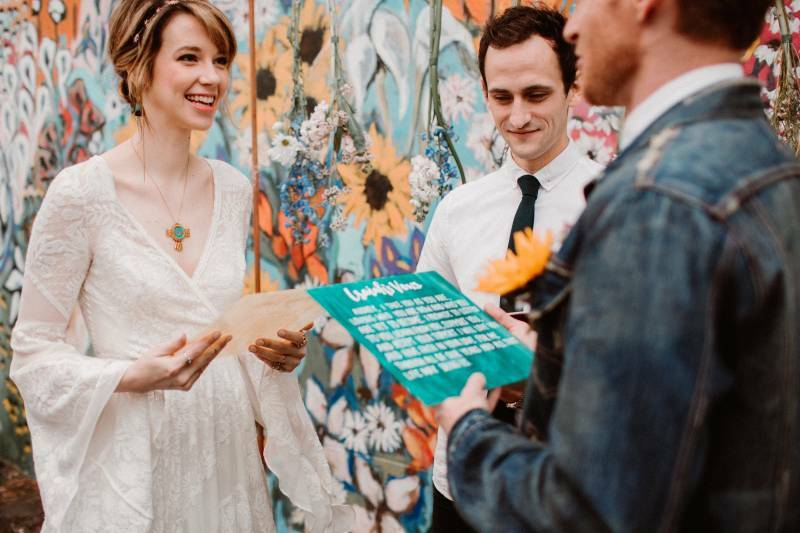 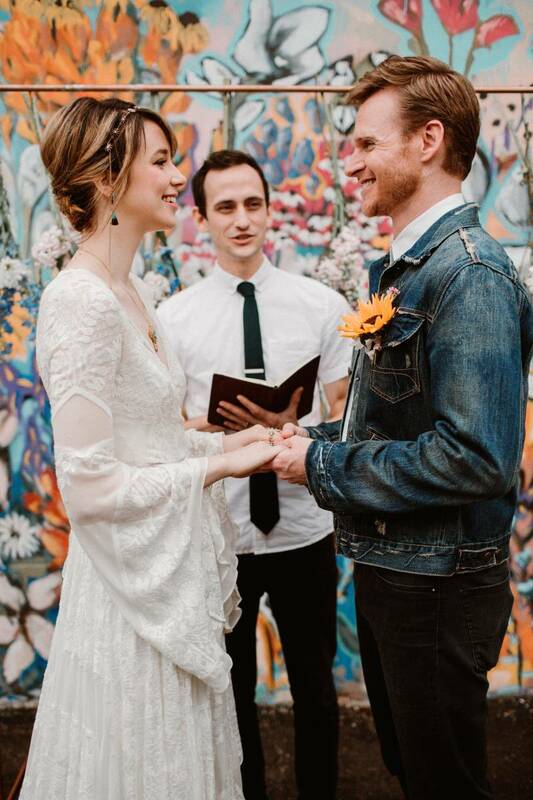 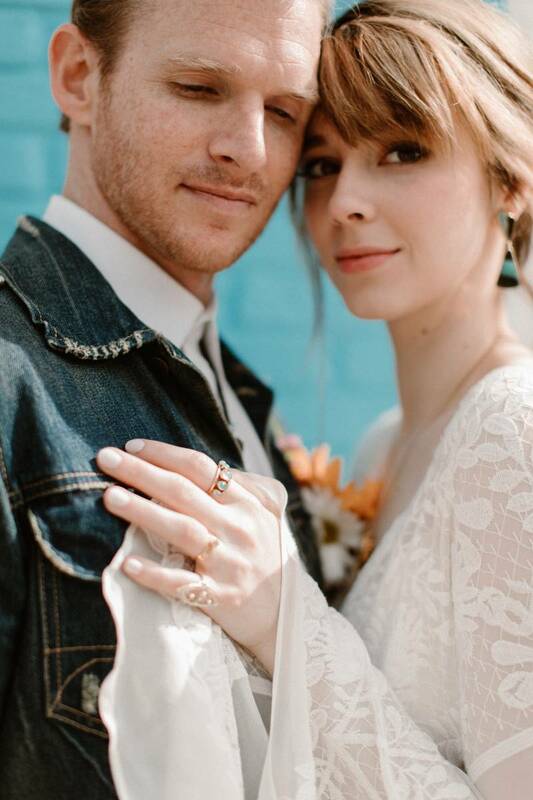 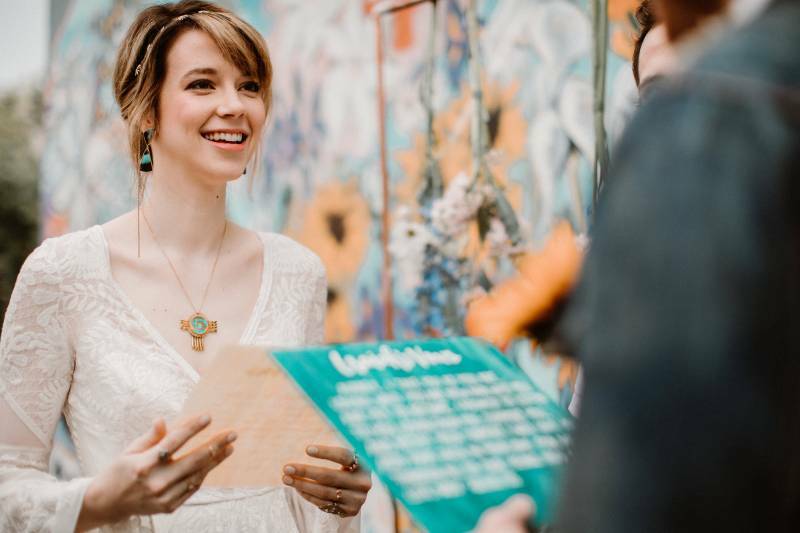 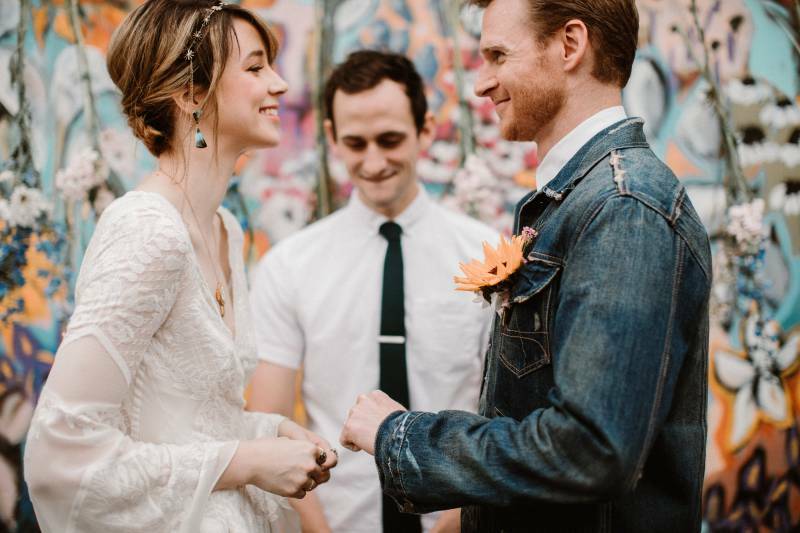 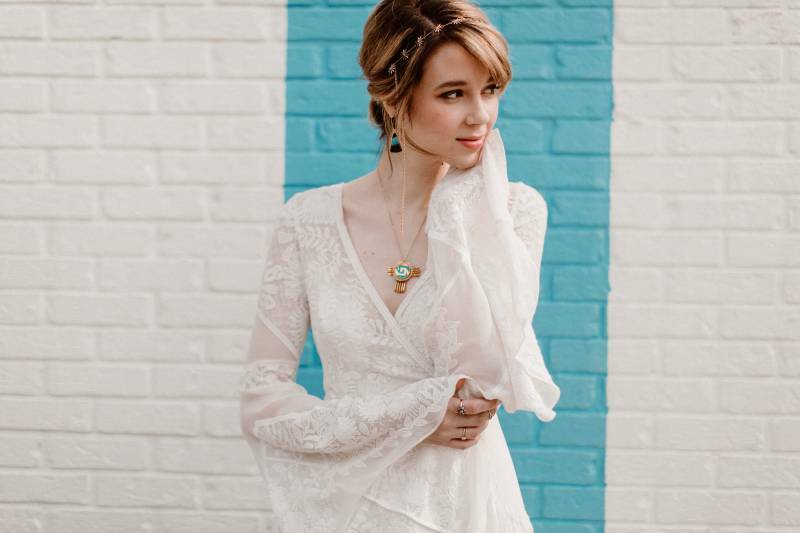 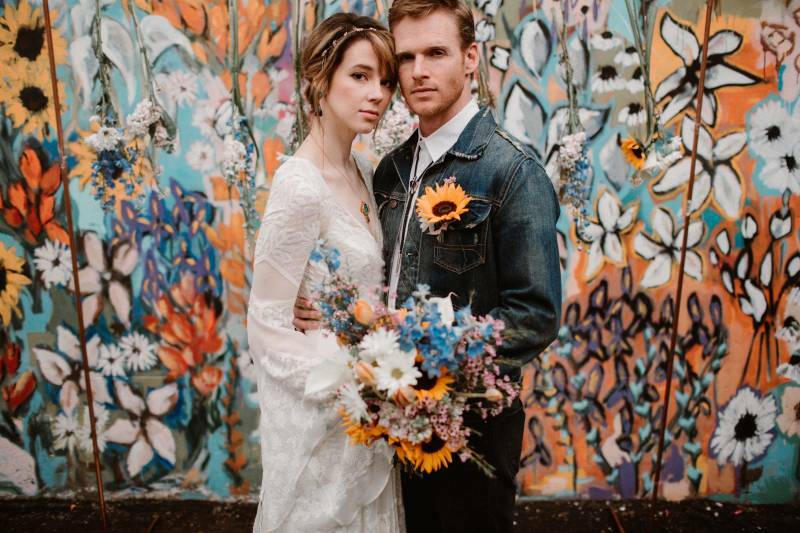 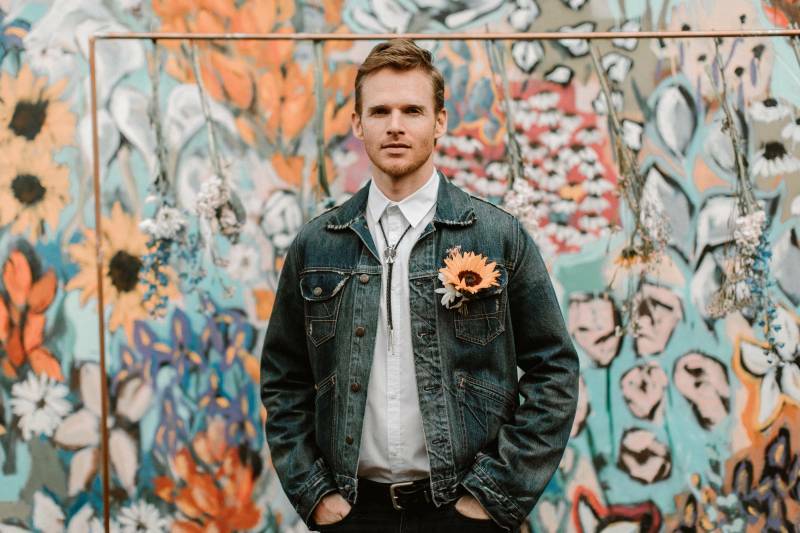 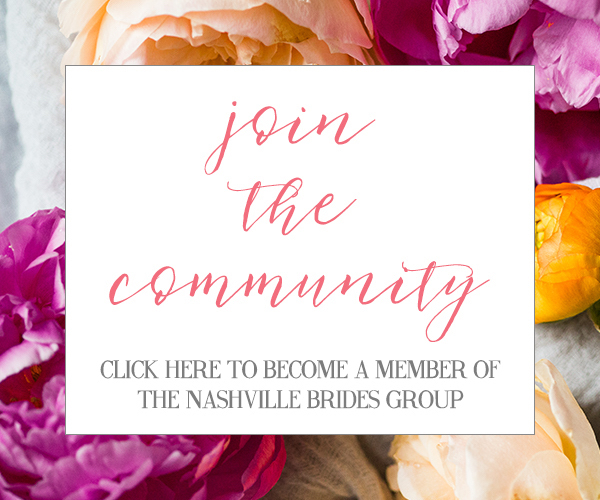 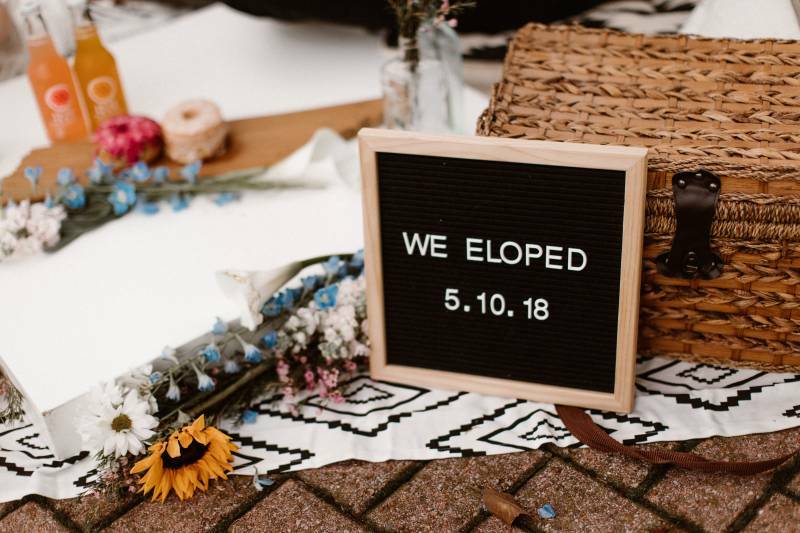 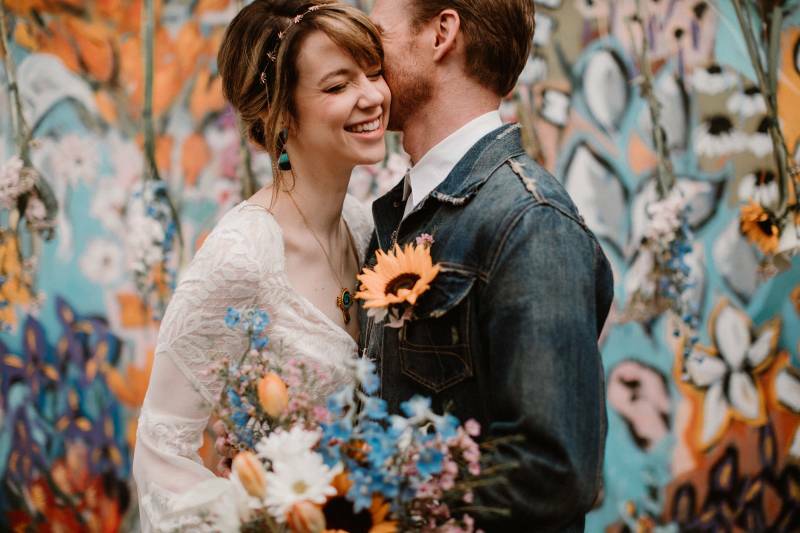 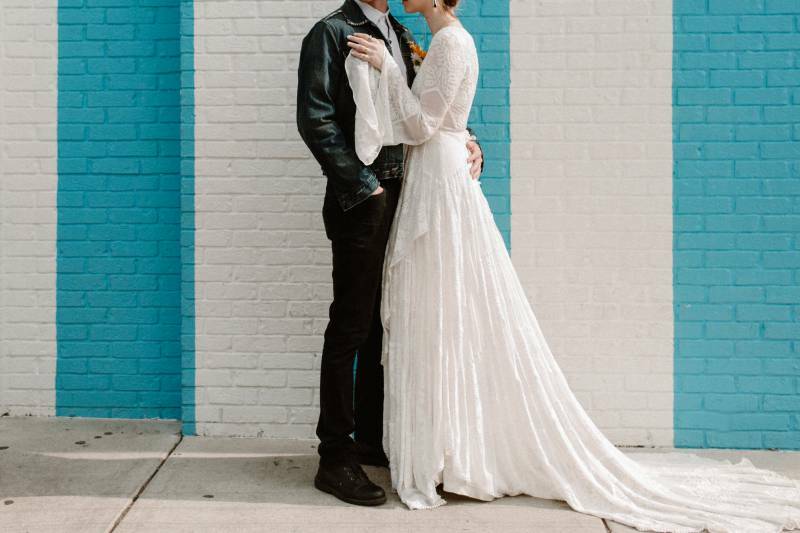 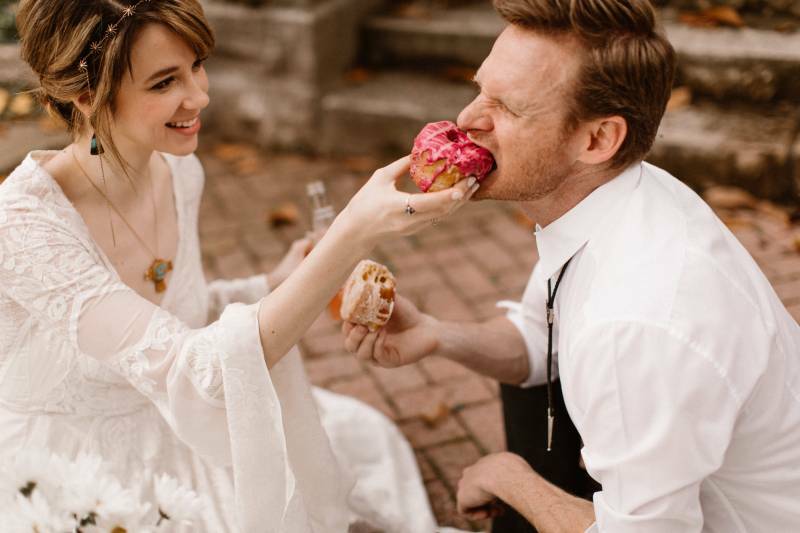 For the love of all things boho, Carrie of Swak Photography has really set the bar high with this boho wedding styled shoot in the 12 South neighborhood! 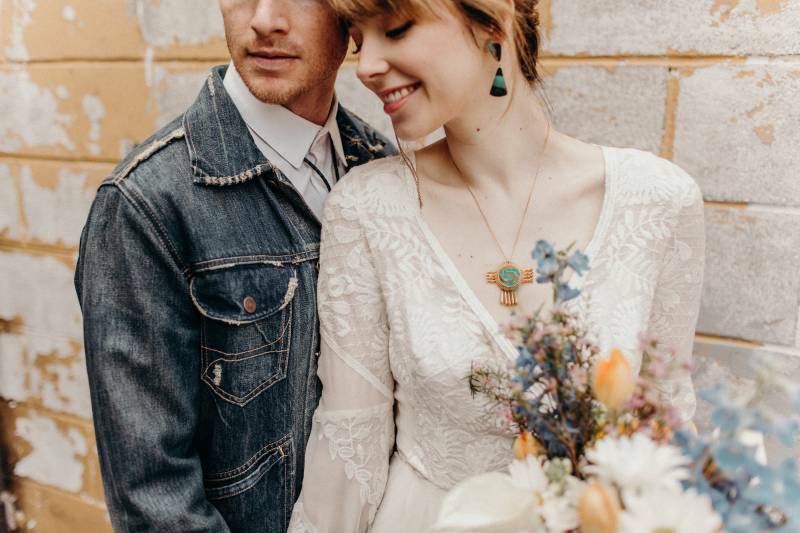 The 70s vibe is so on par with model (influencer) Affectionately Audrey and her bf IRL Isaiah Stratton (known for his acting in shows like Homeland and MacGyver). 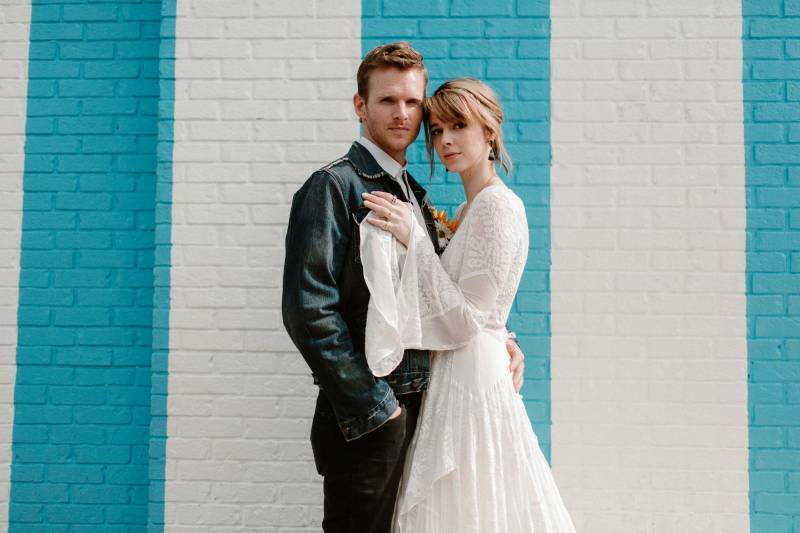 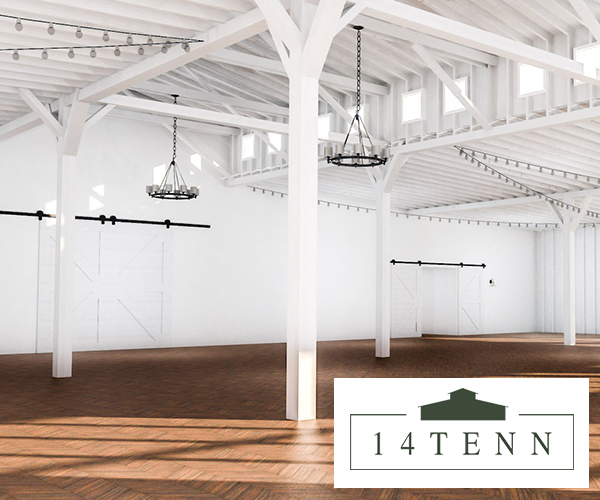 Their chemistry is oh-so cute and each scene the team at Inspired Help created to tell this fantastical story was so hipster Nashville. 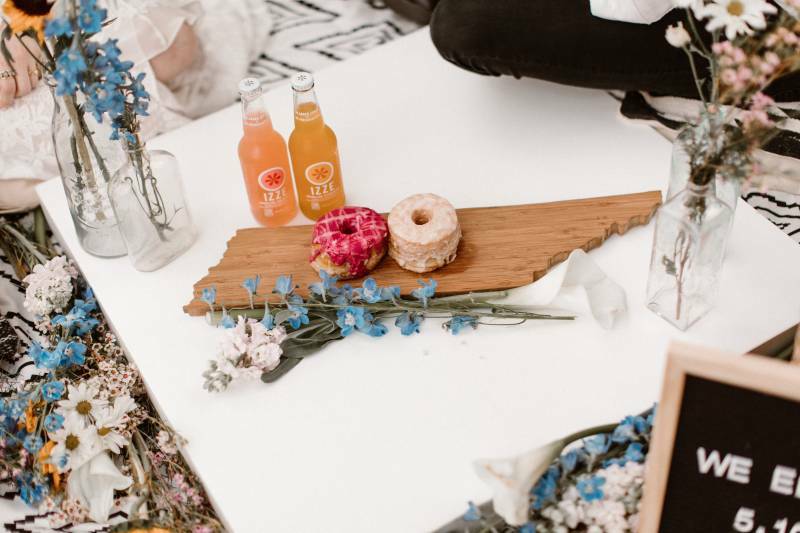 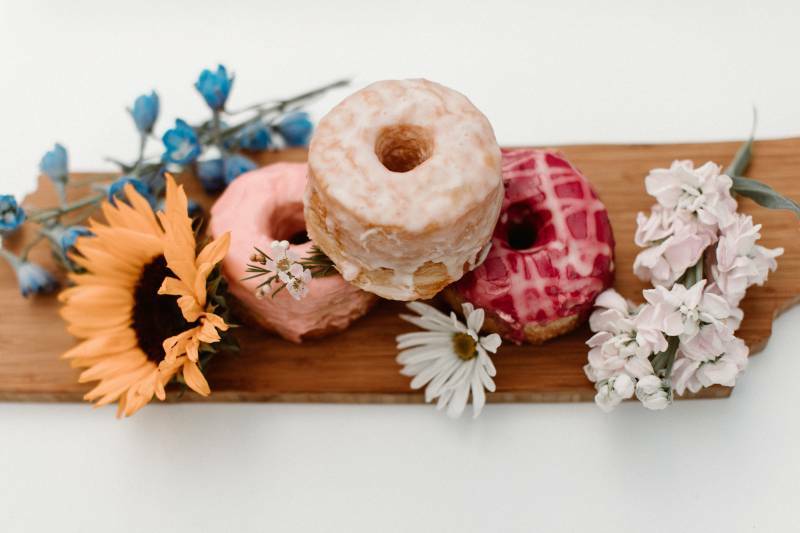 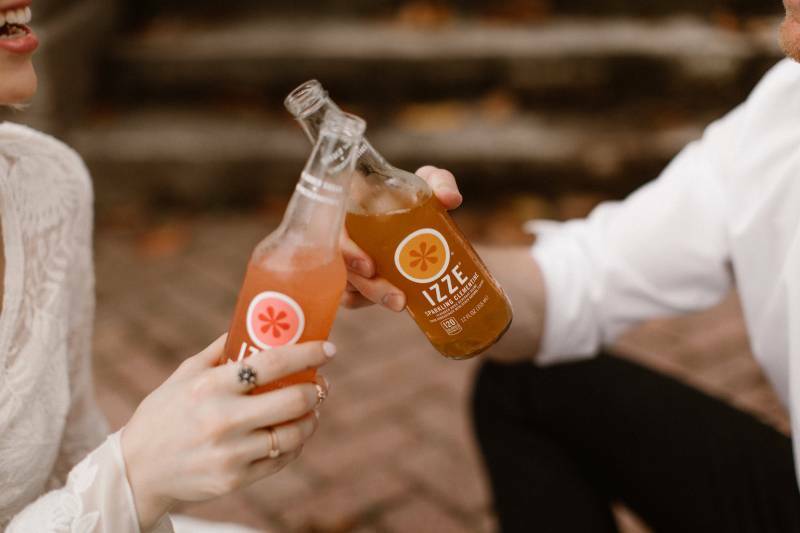 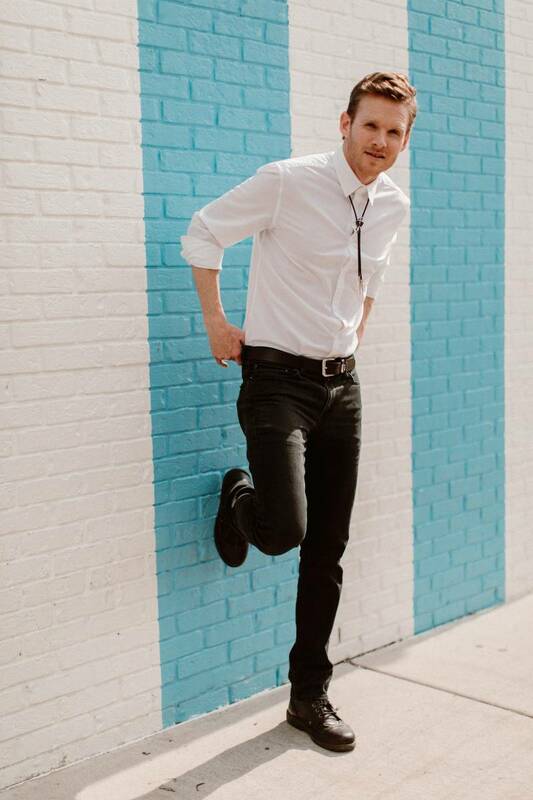 Each iconic mural in Nashville was incorporated in a fun way and it ended with a super cute picnic with Five Daughters Donuts and Izze drinks. 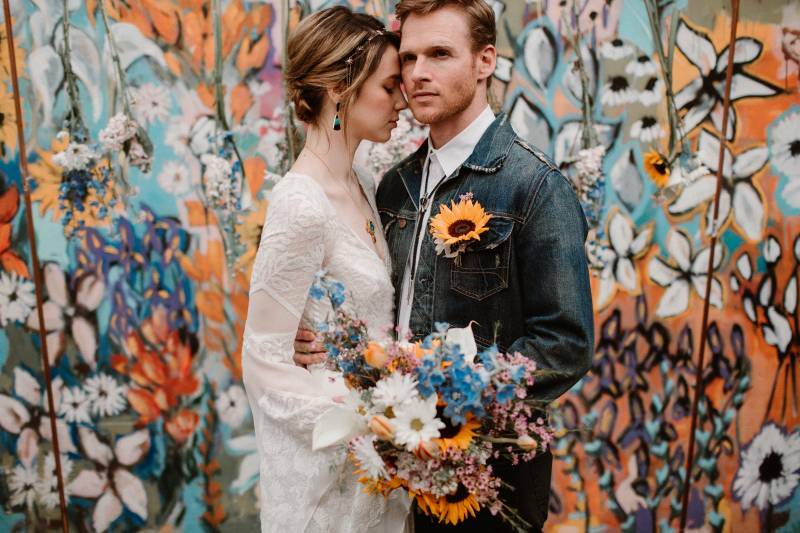 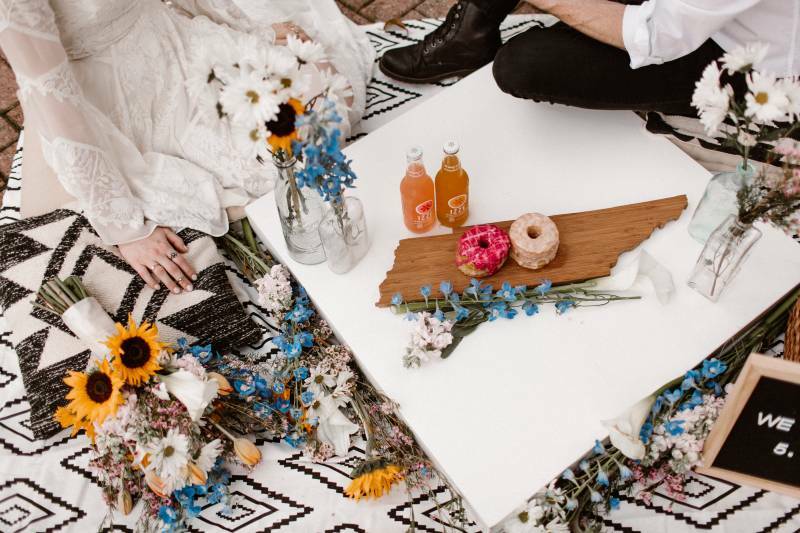 Plus Rachael Ann's Event Design's boho bouquet was the perfect match for the shoot! 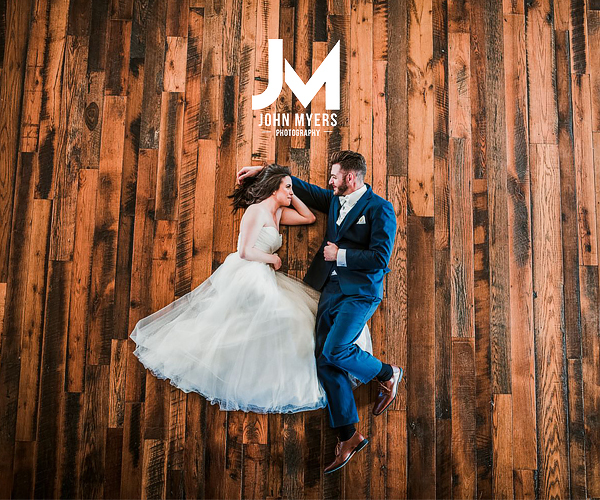 Take a look at all the photos below! 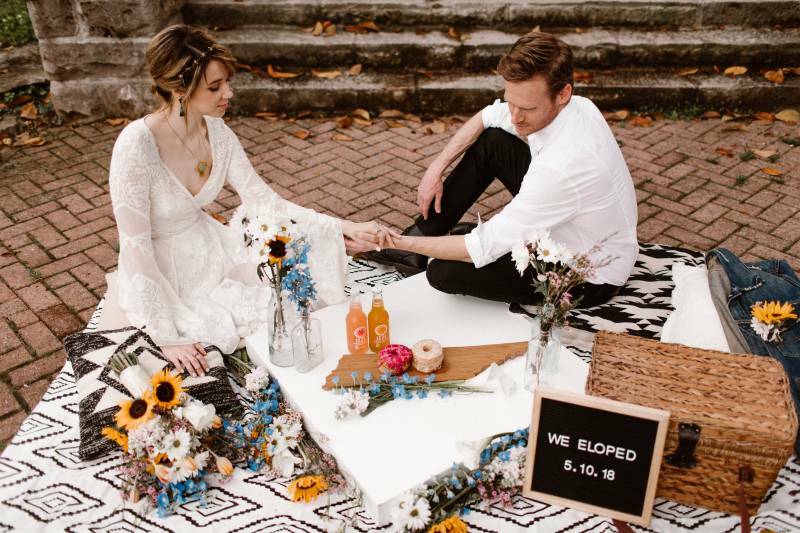 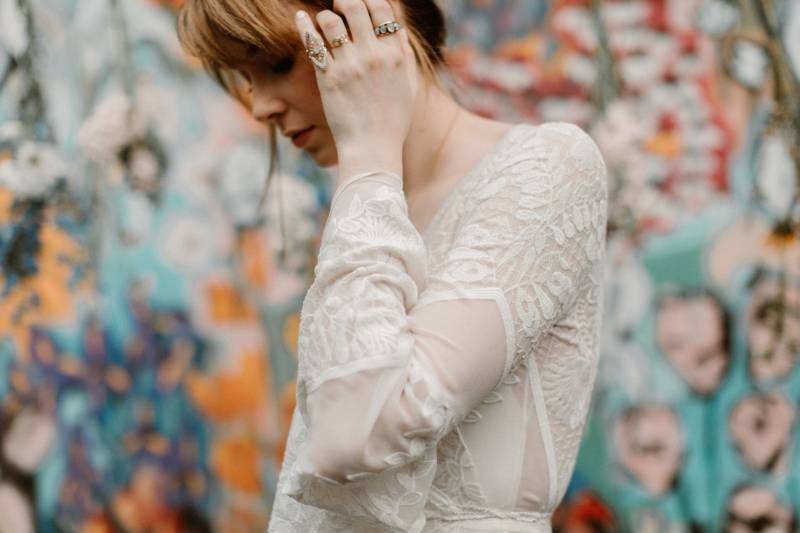 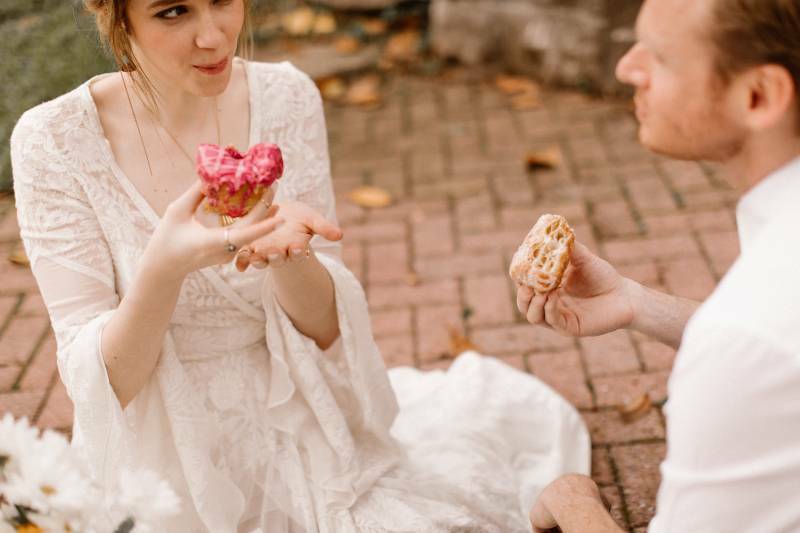 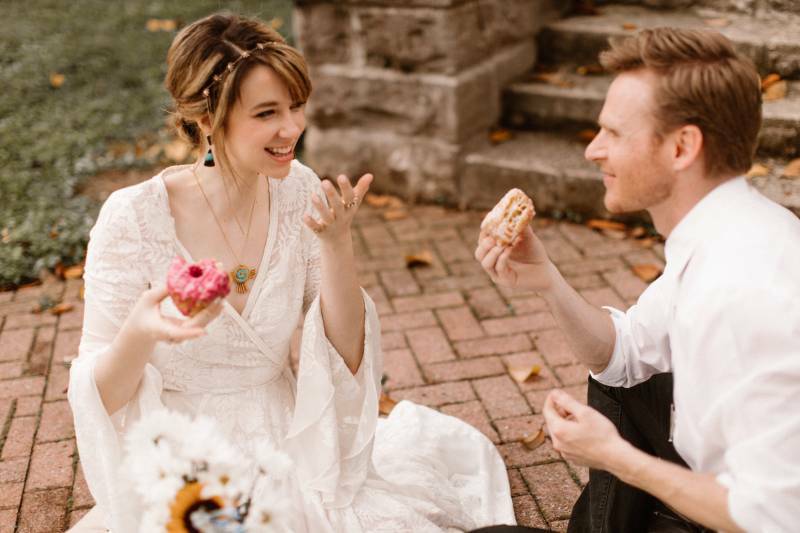 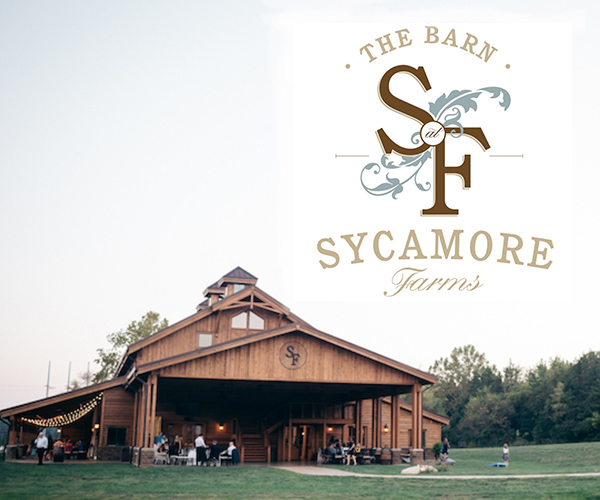 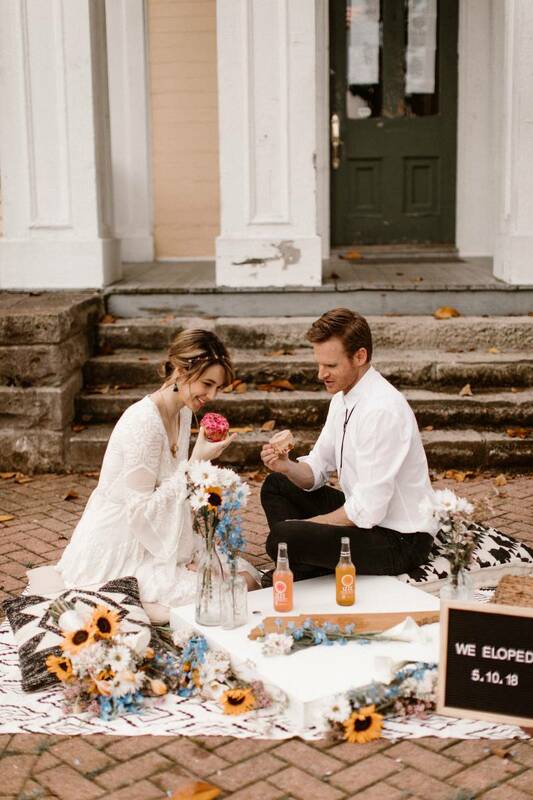 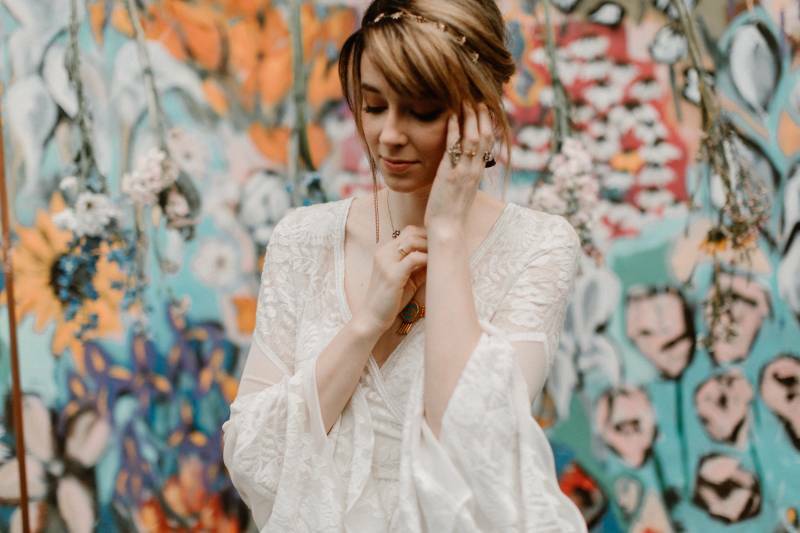 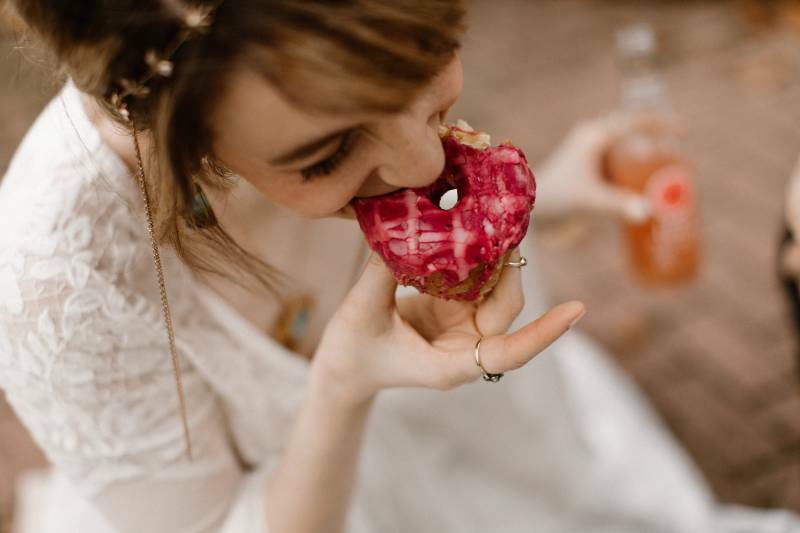 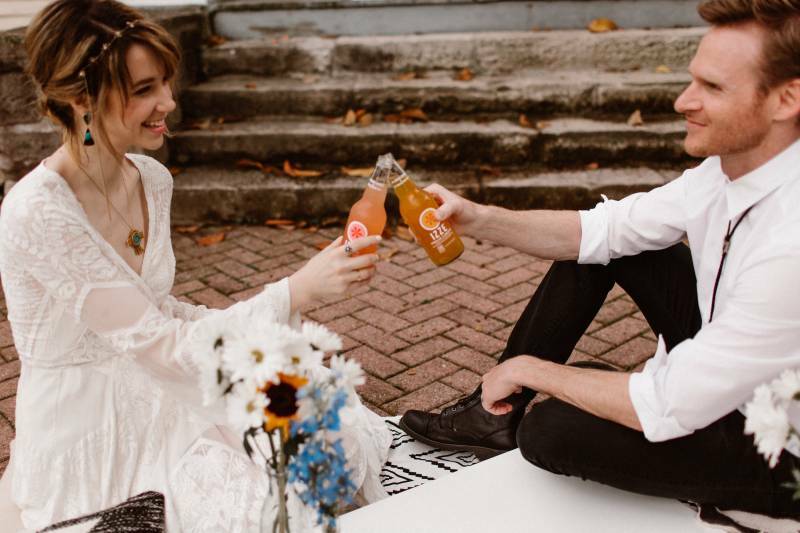 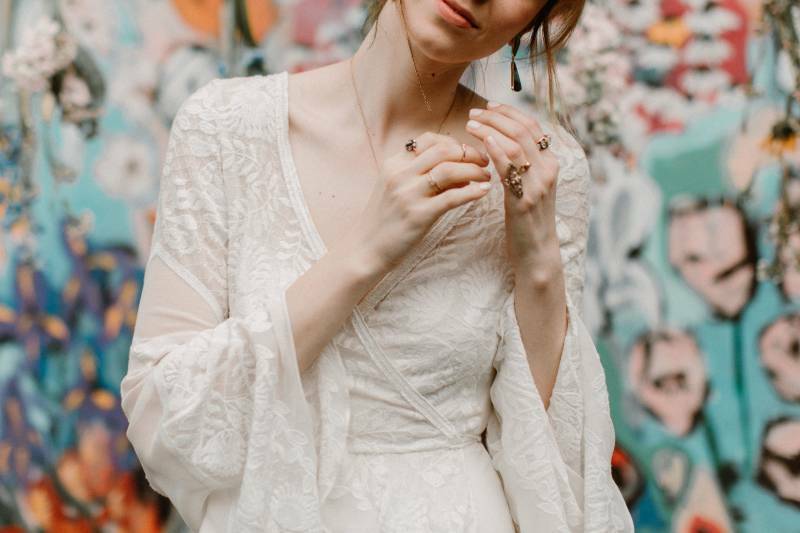 Thank you so much to Carrie for sharing this gorgeous boho wedding styled shoot with us! 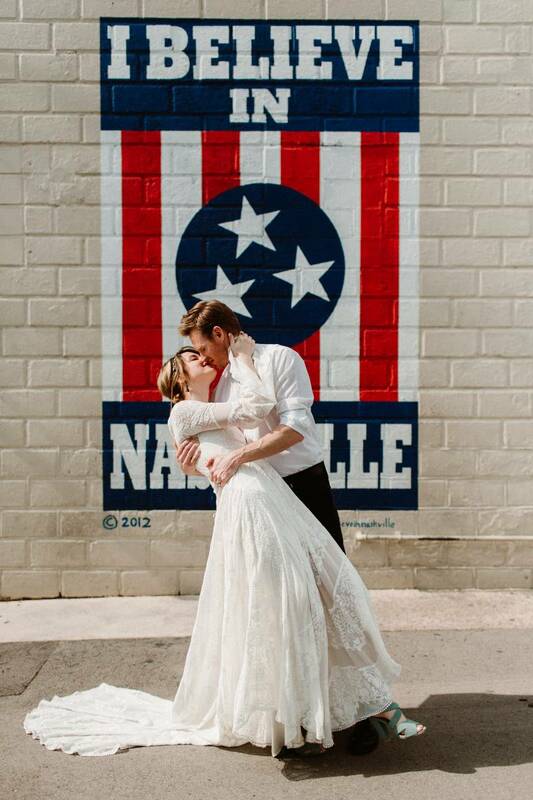 You can check out more of Carrie's work at www.swakphotography.com. 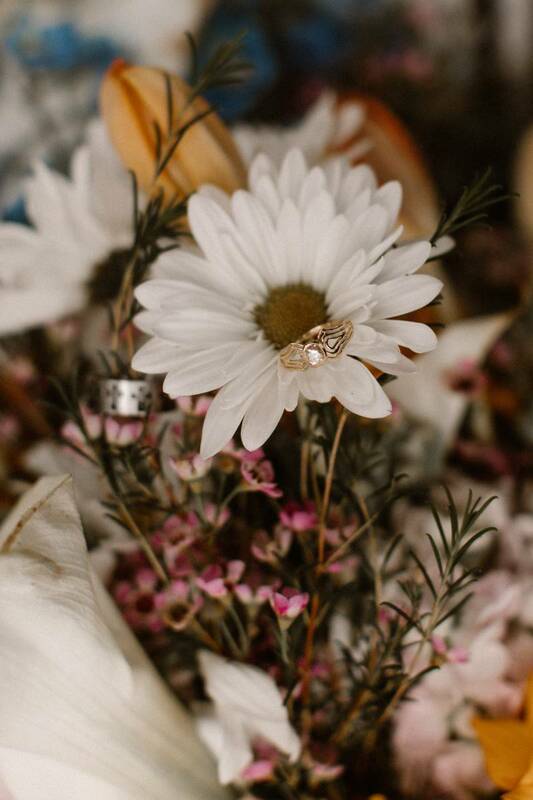 And also be sure to check out Rachael Ann's Event Design for some gorgeous bouquets.